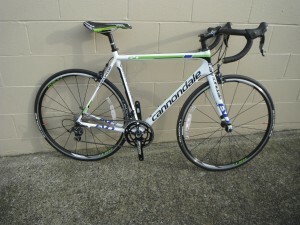 The Cannondale Supersix 5 105 is designed for endurance riding. 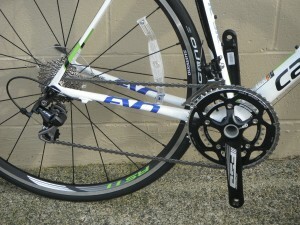 It has a carbon fiber frame and 105 components with a FSA compact crank and Shimano wheels. 54cm frame. 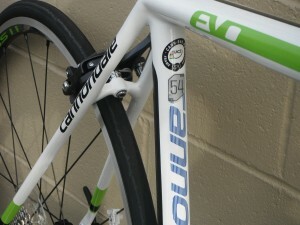 Cannondale Supersix Evo in team colours.